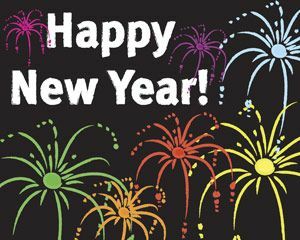 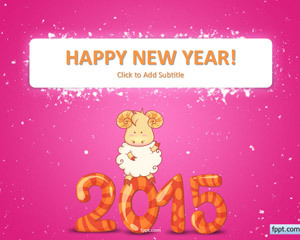 Free Happy New Year 2015 PowerPoint Template is a creative and fresh PowerPoint template that you can use to make online e-cards or celebrate with your family the New Year 2015. 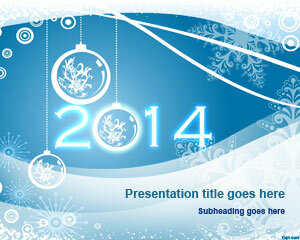 The master slide has a light blue background and a bright orange font style, giving it a festive look. 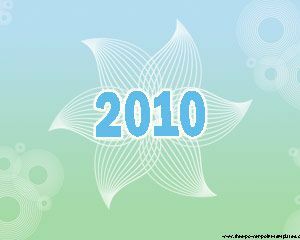 Write down the name of your loved ones in the subtitle placeholder and send this along with other free Holiday PowerPoint backgrounds to everyone you know. 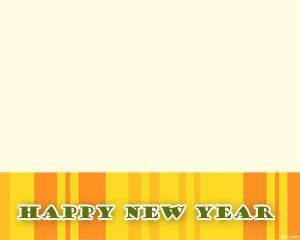 Download free New Year 2015 PowerPoint background, compatible with Microsoft PowerPoint 2010 Mac and PC, along with PowerPoint 2013. 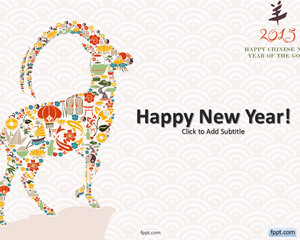 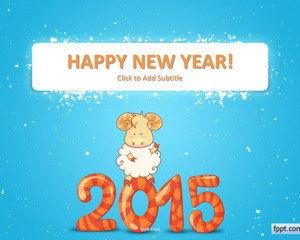 If you call your friends to wish them a Happy New 2015 using your smartphone or favorite phone call operator service then you can also send an email with this free template for PowerPoint containing a nice illustration of a Goat and 2015 year number.